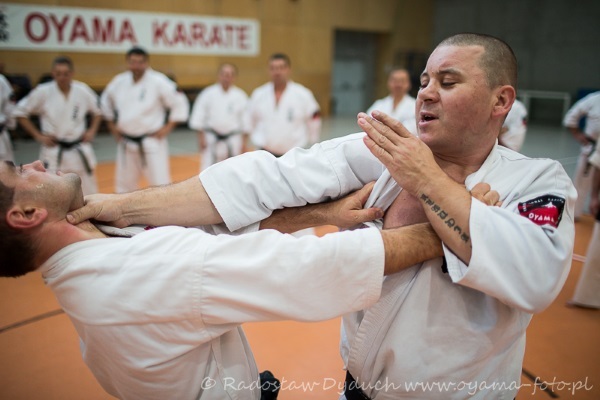 Krakow hosted an All Polish Oyama Karate Seminar focusing on self-defense and refereeing in kumite. Nearly 50 chiefs of clubs took part in the event. Hanshi Jan Dyduch 8th dan handed the black belts and master certificates to the participants of the exam with Soshu Shigeru Oyama 10th dan, that took part in Sankt Petersburg. Ceremonial black belt presentations hosted by Hanshi Jan Dyduch 8th Dan. Hanshi presented the participants of the black belt test conducted by Grand Master Shigeru Oyama 10th dan in Sankt Petersburg (Russia). After the nominations Hanshi thanked everybody for their active time of preparations for the test. Seminar for referees regarding the changes in kumite regulations. Seminar was conducted by Shihan Pawel Pajdak 5th dan. 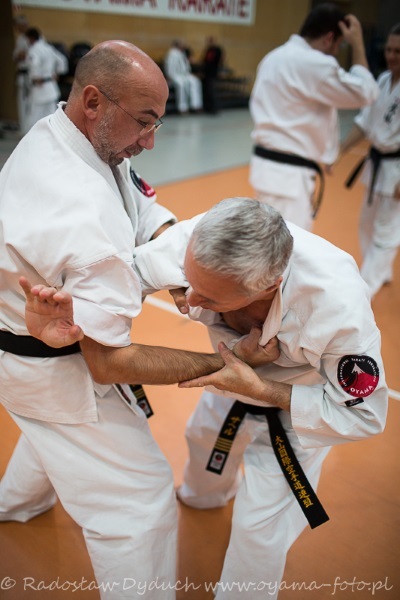 Sensei Mariusz Pawlus 4th dan lead the training of advanced self-defense. Workshops with trainers and participants of the “Sports against alienation” program. During the council with representatives from all Polish Oyama karate clubs issues regarding the rules for personal politics were discussed as well as the official OYAMA Polish Karate Federation calendar for the year 2015.